Two mornings ago, I was at a shopping mall with sis and Momo. Then sis said, quick snap the photo. Can you see why? There are 3 mannequins and 2 other real persons.On the lower floor, the 3 ladies are fake. They are forever posing like that. The man is real. He quickly looked away when he saw me take out my camera. However, the lady on top is real. 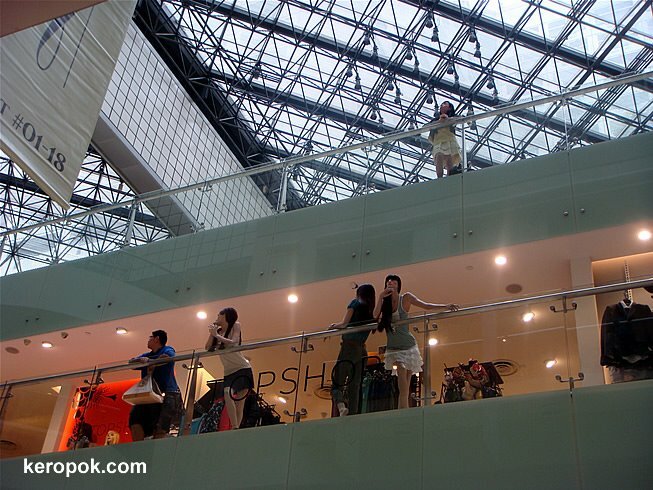 This is taken at Raffles City Shopping Centre. That is really good. I'm glad you told us who was real, I couldn't tell! How funny. Maybe the guy was afraid he would be considered not real.